It was made to consider how to exhibit parts of Mikasa. 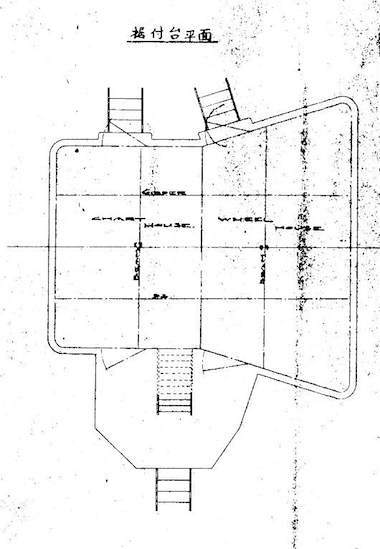 In 1922, when the preservation of Mikasa was discussed, various proposals were made. 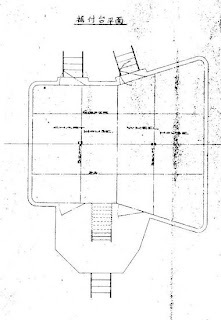 The drawing below was of one of proposals to preserve only some parts of Mikasa, not whole of the ship. Therefore, the platform was fitted with ladders for visitors.